The first 1000 orders of the TI F28069 Piccolo controlSTICK - TMDX28069USB are only $11 with the promo code 'Piccolo11' at the TI eStore. The ARM Cortex-M3 PSoC 5 Design Challenge will accept new entries until January 24, 2011. Cypress will give away 100 development kits and a number of cash prizes over the three rounds of the contest. The grand prize is $2500 with additional category and community prizes available. If you need to wire up a prototype, create a custom debug cable, or connect a logic analyzer to communications link, breakout boards are a real time saver. 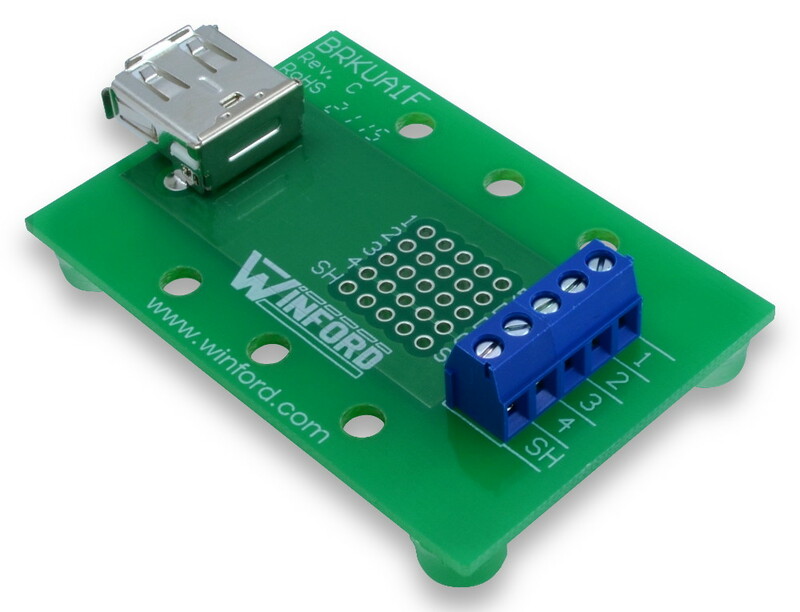 I have used SchmartBoards' JTAG board in the past, another supplier I came across is Winford Engineering. They have breakout boards for USB, modular jacks, 0.1" headers and DB connectors. Using boards like these, you can quickly build almost any prototype for development or debug purposes. For the processor and memory, you can use a development board from the processor manufacturer. There are hundreds of development boards available for various processors. For some examples, here is a list of low cost demo boards from Microchip, here are boards from Cypress, a list of Blackfin boards from Analog Devices and development kits and boards from Texas Instruments. I used a PICkit 2 28-Pin demo board with an RF module for a recent project. If you can't find a development board configured correctly, SchmartBoards will support hand soldering many common chip formats, including SMT devices, and even BGAs. If you aren't confident you can hand solder a component yourself, SchmartBoards will solder your IC for you for a $3.00 charge. "Technologies and Applications for Connected Consumers" is the theme for the 34th IEEE Sarnoff Symposium being held May 2011 in Princeton, New Jersey. Free exhibition space is offered to startups and students that can demonstrate consumer prototypes and applications. Cash prizes will be offered for the best exhibits. Microchip has released a beta of MPLAB® X Integrated Development Environment to replace the Windows-only MPLAB 8. MPLAB X was developed using NetBeans and the redesign was a major effort by the Microchip developers. The new development tool will run on Windows, Linux, and MAC operating systems, giving users the same interface and functionality across platforms.